I love food. I do. There was a dark time in my life, years ago, when some really crappy things happened—things that darkened my world. I had suffered through a horrible sexual assault by a stranger, and my parents—my major support in my life—were both very, very ill. The assault was hard on everyone. I struggled to perform as my usual self, but I knew I was different now. I was holding back, something I never ever did. And I found joy in nothing. I was not the same daughter they had watched grow up for the last twenty five years. My mother sensed my constant pain despite my façade of NORMAL. Having been through her own horrible experiences, she knew what swelled in my belly, and knew it was best to share the thoughts and tears. The worst thing to do was to bottle it up and let it brew in its own filth. Open arms and open ears were the best remedy. I couldn’t even begin to clock the hours spent talking over cups of hot tea with my dear mother about any and everything under the sun. The sheer act of letting myself bleed out the bad through words spoken was a therapy so good for my soul that I began sharing my experiences with others. I talked about it ALL. Every. Tiny. Painful. Detail. Then, something strange happened. I began feeling like me again. That girl that loved taking long walks by herself and loved sharing smiles with strangers was back. That girl that loved food, and loved the preparation involved in making meals chock full of love was back. I WAS BACK. With my return, my mother encouraged me to do the things that made me happy inside, but she also stressed the importance of expressing myself. So one day I began writing down all the things that were still lingering inside me causing strife here and there. I planned on crumbling up this paper and throwing it away, but I knew that the troubles would always loiter, even after the paper made its trip to the incinerator. Well somehow, those notes then turned into a short story, and eventually, that short story morphed into an epic tale of a woman and her ill mother on a magical quest. And there was lots of food and tea involved! My mother was able to read half of my novel before she passed away and the joy in her eyes reading it is what will fill my soul with happiness for eternity. Renhala is a gift of words that touches the senses. My heroine, Kailey, is a tea-loving woman with an appreciation for good food and an even greater appreciation for family. Besides sharing my story (Renhala is currently free!) I also wanted to give you all one more gift: a recipe of my mother’s for Steak Diane—a food that made its way into my mouth and into my novel. 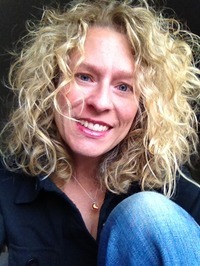 Thank you all for reading and I’d love to hear from you about what foods make you happiest! Pound steaks thin (about ¼ in thick), sprinkle each with S&P. Rub mustard on both sides of steaks. Melt butter in large skillet over med-high heat. Fry 2 steaks for 2 min on each side, transfer to hot serving plate. Repeat with remaining steaks. Add lemon juice, chives, and Worcestershire to skillet and bring to boil. Return steaks to the pan to heat through and coat with sauce. Pour remaining sauce over steaks on plate. Enjoy a cup of earl grey tea afterwards! My review of Golden Dunes went live back in December but here it is again in case you missed it. 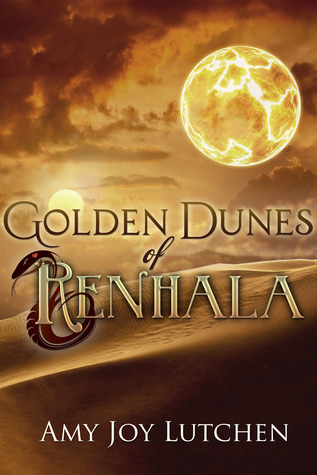 There is a tour wide giveaway for the blog tour for Golden Dunes of Renhala. 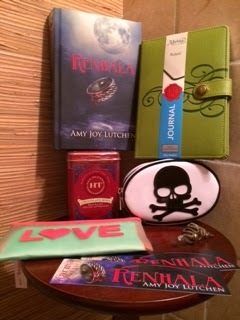 Here is what you can win: signed Renhala hardcover, signed bookmark, tea(s), two fun pouches (one with a skull, the other the word "LOVE"), a snake ring and $25 Amazon or Barnes & Noble gift card.